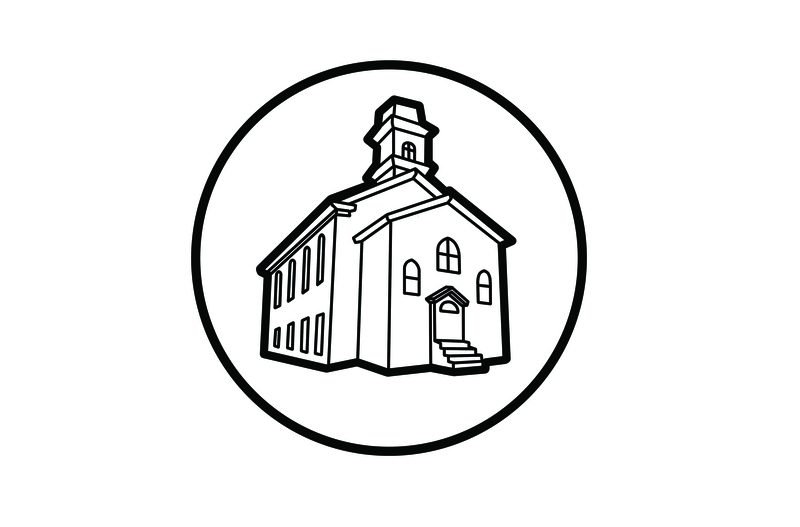 The Computer Church: The Kitchen Computer Press Release #1. 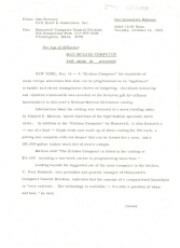 This item is an original press release that was sent out to announce the famed "Kitchen Computer". 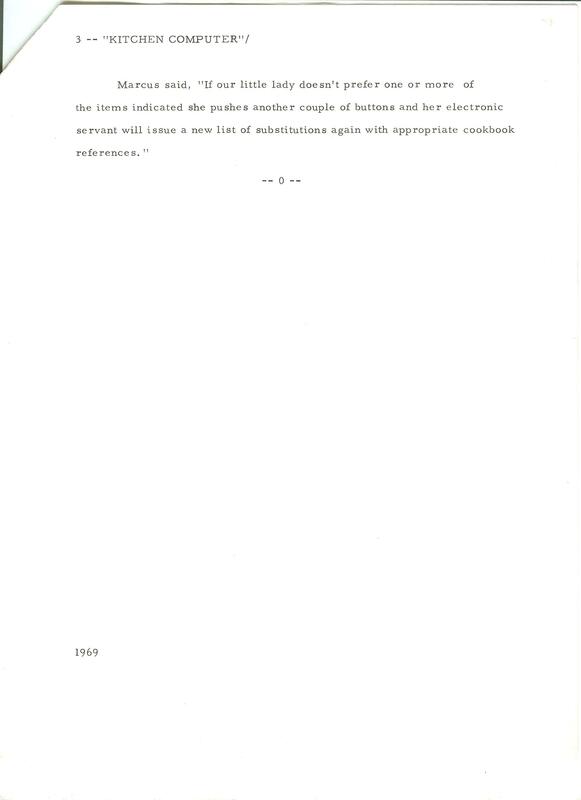 The release is entitled, "The Age of Affluence: May Include Computer For Mom In Kitchen" and is scheduled for release after 12:00 noon on October 14, 1969. It summarizes a news briefing that was held earlier in the day by the Neiman-Marcus Board Chairman, Edward S. Marcus. 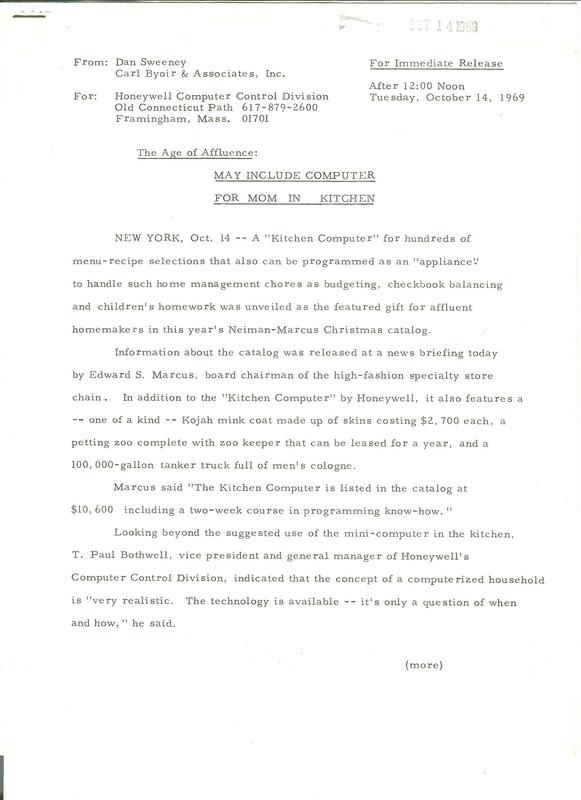 The news briefing was about the 1969 Christmas catalog and one of the major items that the briefing focused on was the Kitchen Computer. Marcus said, shoppers will be given a "computer menu" listing 21 different dishes (viz. beef, fish, chicken, lamb) with each having a numerical code. The number is typed into the teleprinter which is computer connected and faster than you can say "Cordon bleu" the computer selects the meal around the entree from soup-to-nuts. Typical selections include an appetizer, two vegetables, salad, dessert and wine. It is no surprise that this press release focuses on the positive aspects of the Kitchen Computer, but there were some serious drawbacks. The $10,600 purchase price included a two week programming course...not exactly something the affluent housewife might be comfortable with. And the computer interface was definitely not user friendly. The computer used binary code, so if Mom wanted to plan a dinner around some nice steak that she had just bought, she would need to enter the binary code for "steak"...01110011011101000110010101100001011010110000110100001010. And even if she managed to do that correctly, the output from the computer was displayed as a series of lights that "spelled out" the answer in binary code. Imagine eight small lights in a row and if they were on it would be read as a "1" and if it were off it would be read as a "0". There is mention of a teletype machine that had a typewriter keyboard and would make the interface easier but that doesn't seem to be included in price of the computer. This press release also focused on the role of technology in the home. The idea of putting a computer in an individual's home was not common in 1969 and there were a few people espousing the concept. But the creation of an actual working computer that was designed for home use, no matter how impractical, was an influential step in making that idea a reality. The release quotes T. Paul Bothwell, vice-president and general manager of Honeywell's Computer Control Division, who believed that the concept of a computerized home not a fanciful one. In my opinion, that day is not far off. The only major factor is cost. But in all likelihood, within five or six years, computer prices will fall in the range of the family automobile. This is in marked contrast to a few years ago, when the cheapest computers cost over a hundred-thousand dollars.